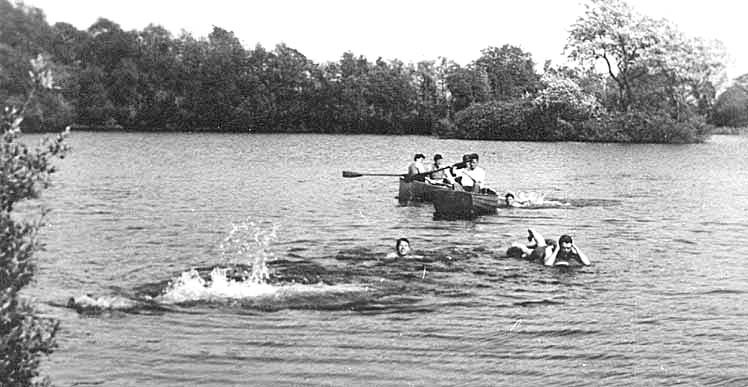 The community at Broome Hall 1948/9. 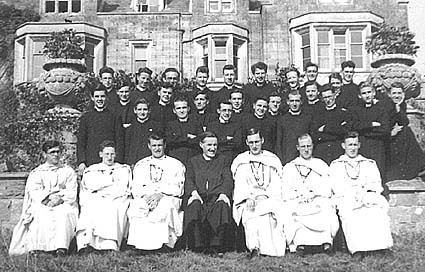 The staff at Broome Hall 1948/9. , , Dominic Laven, Charlie McCarthy, Peter Collyer. been regularly one of the first home on those early morning jogs". 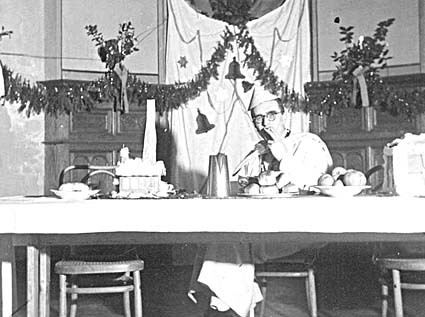 Fr Piet Mol, Novice Master, Christmas in Holland 1950. Taken at Leith Hill Tower. 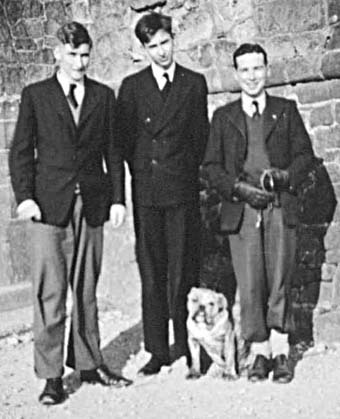 Charlie McCarthy, Adrian Hastings, Bill Foran and Bruno the Broome Hall dog. and John McDonald to his right (on the float).